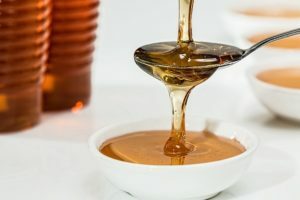 Most skin types can benefit from a weekly mask and manuka honey face mask is especially beneficial owing to its antioxidant, antimicrobial and anti-aging benefits. 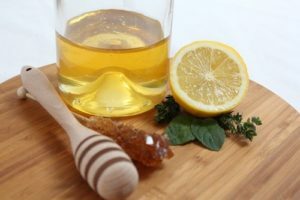 In this article, we will study different ways of using Manuka honey face mask as well as its top benefits. Manuka honey originates from New Zealand and Australia and is obtained from bees feeding on Tea tree bushes also called as the Manuka trees. This honey is rich in phytochemicals, organic acids, vitamins, and minerals. It also contains small amounts of proteins, enzymes, amino acids and trace minerals. Almost all honey varieties are known to demonstrate antibacterial, antimicrobial, anti-inflammatory, anti-fungal and antioxidant properties. Manuka honey is much more superior compared to most local honey varieties. For centuries Manuka honey has been used for dressing wounds and burns and for treating common skin problems. The UMF or Unique Manuka Factor is an important number which demonstrates the antimicrobial potency of Manuka honey. Choose Manuka Honey having UMF above 10. For skin care and manuka honey face masks, you can even use UMF 16+. Manuka Honey Face Mask has skin lightening and brightening effects. This helps reduce blemishes, scars, age spots, and hyperpigmentation caused by environmental and intrinsic factors. It is hydrating and moisturizing. Manuka honey face mask retains moisture and protects moisture loss. 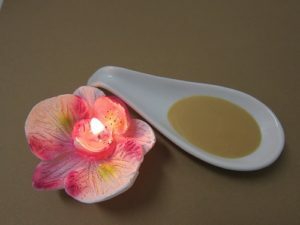 This property is beneficial for aging skin as it eliminates wrinkles, fine lines and restores the skin’s youthful glow. Manuka honey face mask is especially beneficial for acne sufferers. The antibacterial, anti-inflammatory, and antimicrobial properties eliminate bacteria and sebum from the pores to prevent pimples and zits. Antioxidant and anti-inflammatory properties of Manuka honey for skin prevent cysts, warts, skin tags and other skin irregularities. With regular use, your skin starts looking fresh and pampered. How to use: Mix all ingredients and apply to face and neck. Keep it on for 30 minutes. Wash off with warm water. Turmeric can stain clothes so be careful. Benefits: The benefits of using this mask are that it removes tan and sun damage, lightens the skin and eliminates all acne causing bacteria and sebum. How to use: Mix the two ingredients and apply all over the face and neck. Leave it on for 10-12 minutes. Wash off without soap. Repeat the treatment once a week for dry skin. Benefits: It replenishes lost moisture and creates a thin protective barrier on the skin to prevent further moisture loss. Manuka honey is fast becoming known as liquid Gold. Compared to regular honey, it has a non-peroxide activity and a high anti-oxidant and antibacterial action. The antiseptic, anti-inflammatory and antimicrobial properties of Manuka honey face mask have been recognized internationally. Simply rubbing Manuka honey with UMF 10+ on the skin can clear eczema, dermatitis, acne, psoriasis and inflammation. With regular use, it can make your skin smooth, soft and radiant.